In 2019, the Oraganisation for Security and Cooperation in Europe (OSCE) Office of Democratic Institutions and Human Rights (ODIHR) published the "Guidelines on Promoting the Political Participation of Persons with Disabilities." 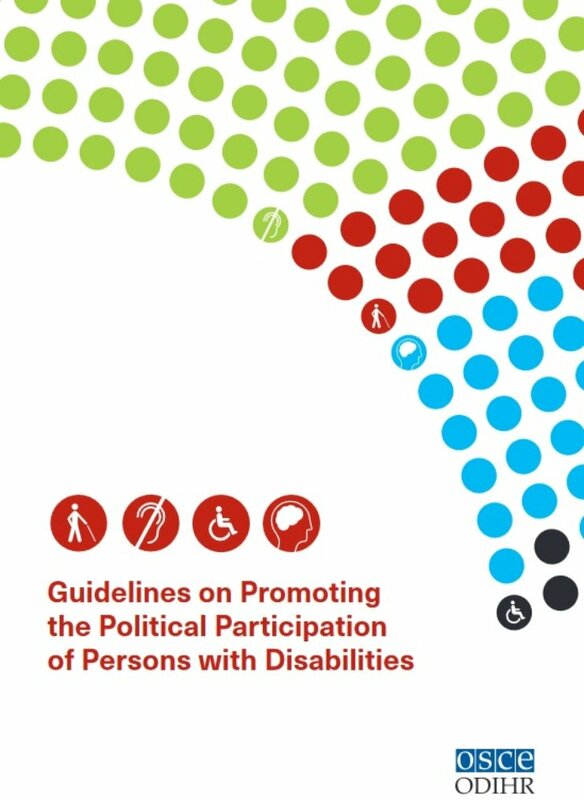 The guidelines include instructions and checklists for how to include persons with disabilities in political parties and parliaments. The full guidelines can be downloaded at this link.